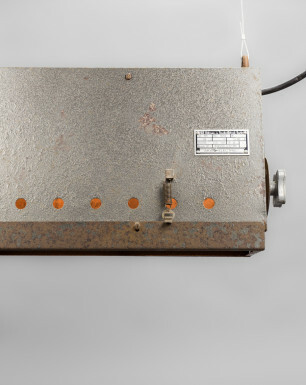 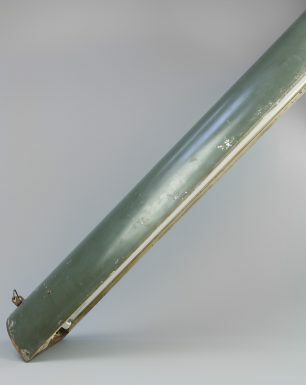 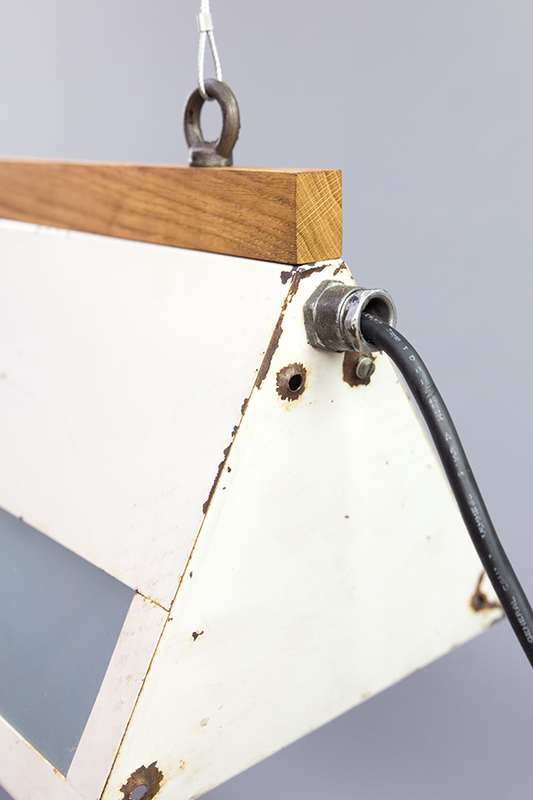 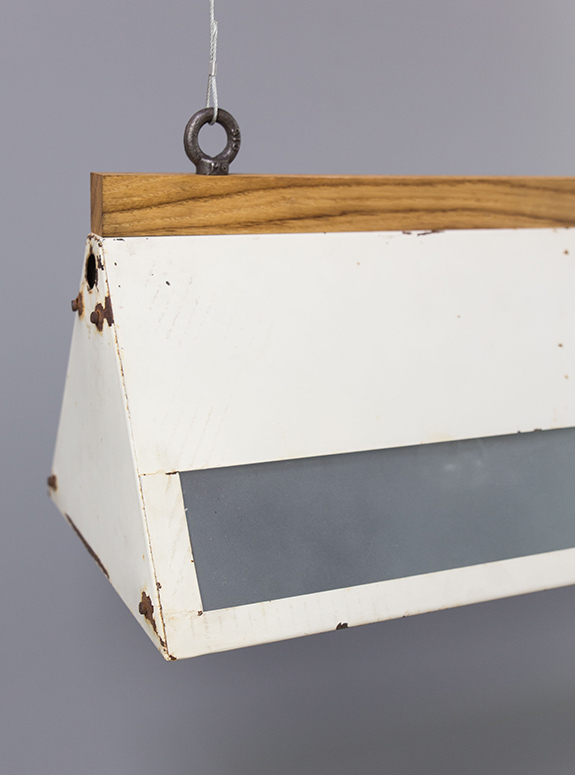 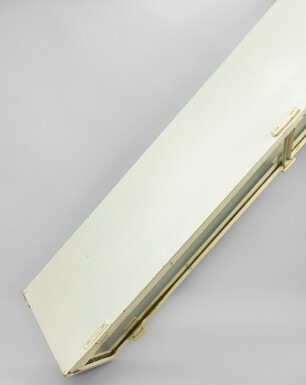 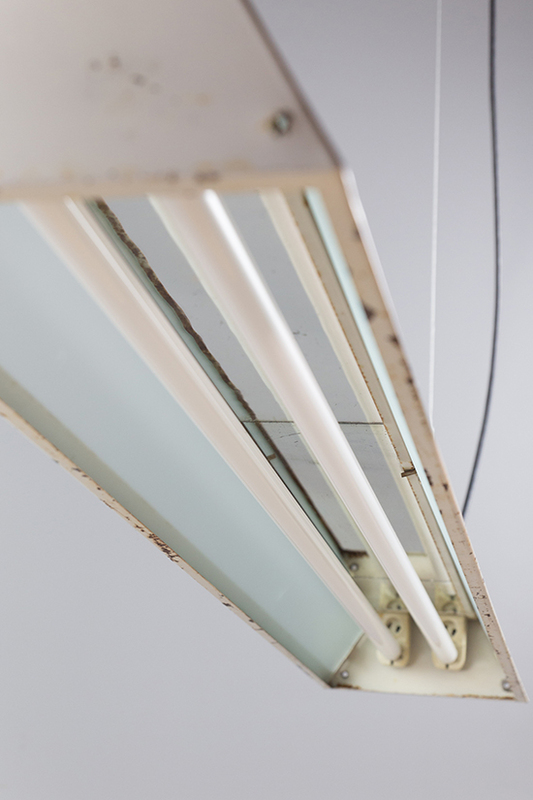 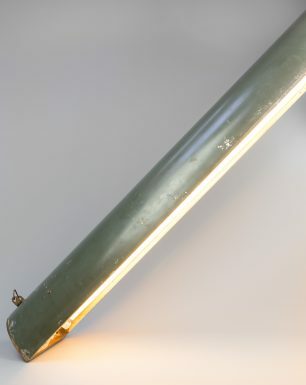 This triangle shaped light has been used especially for the illumination of assembly lines. 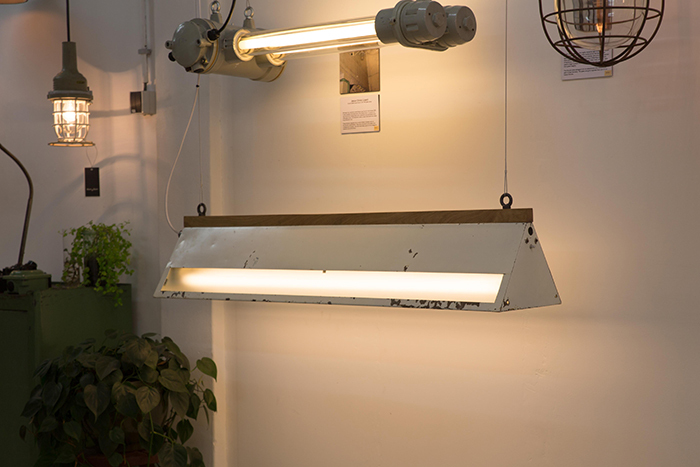 The fixtures were connected to each other, creating long lines in order to illuminate the most crucial places of the factory. 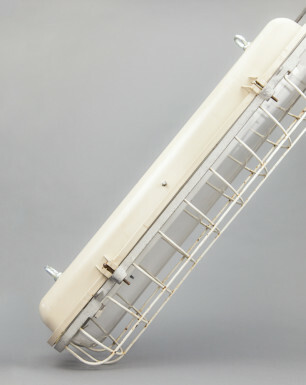 The White Dolphin is constructed of a steel-plated body featuring three porcelain E27 sockets and two glass side panes. 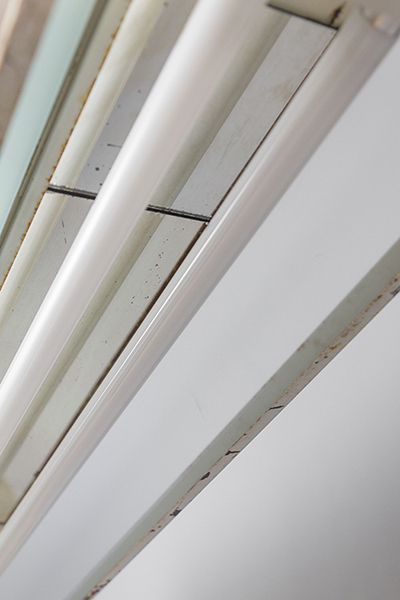 These panes are treated with a ‘frost-layer’, in order to create a soft and diffuse light. 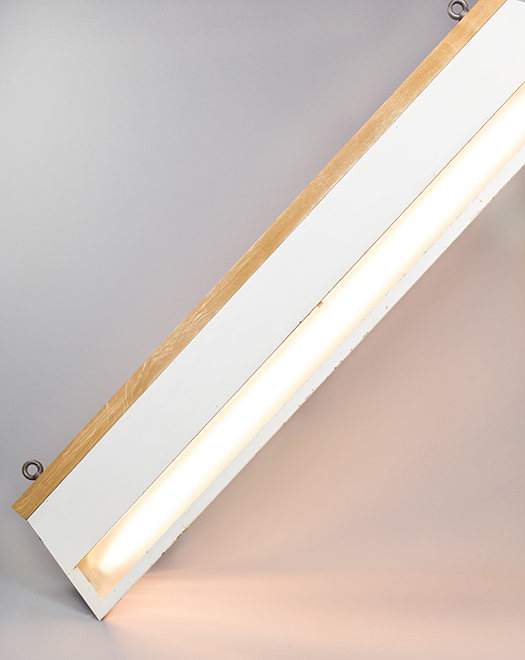 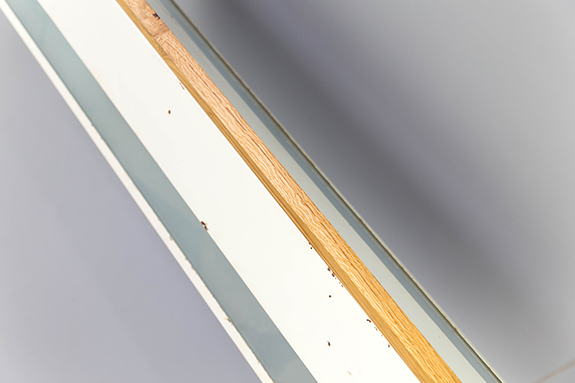 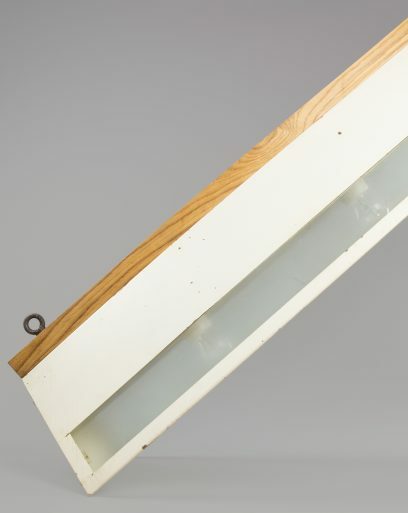 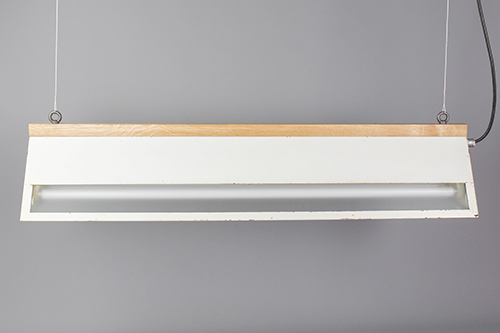 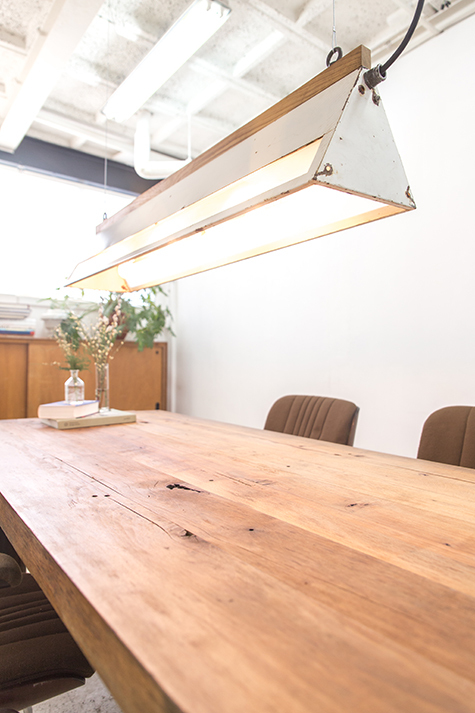 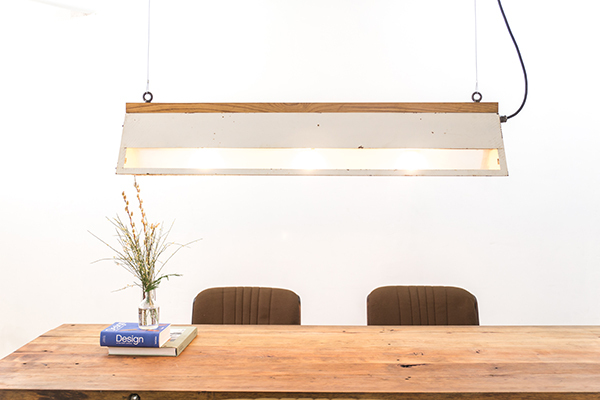 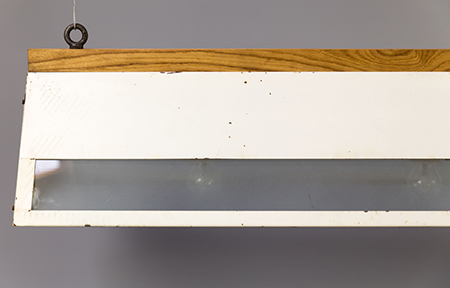 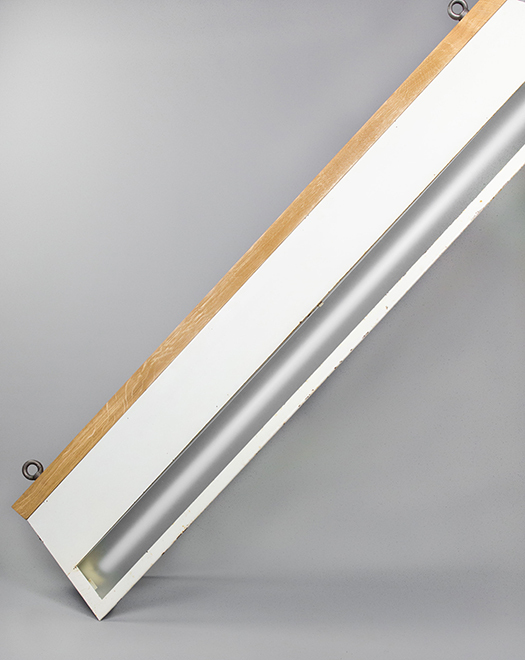 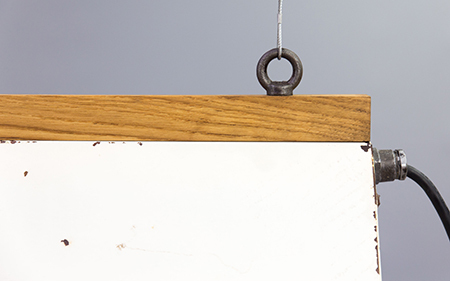 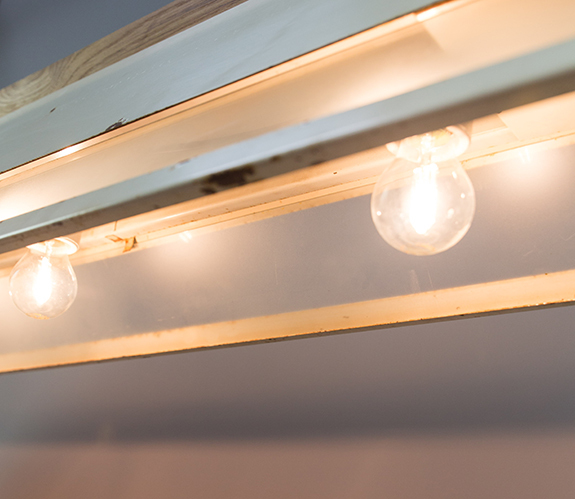 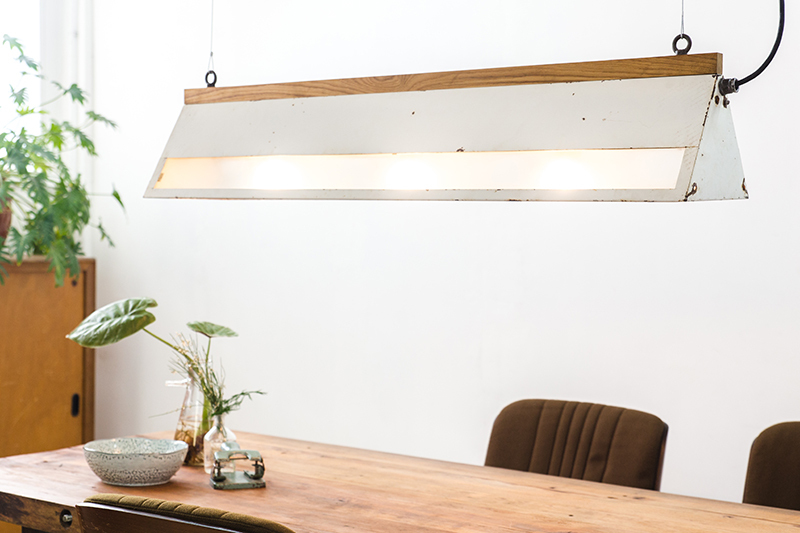 The original suspension rail on the top of the lamp has been replaced with an oak suspension bar, giving the fixture a natural and friendly touch. 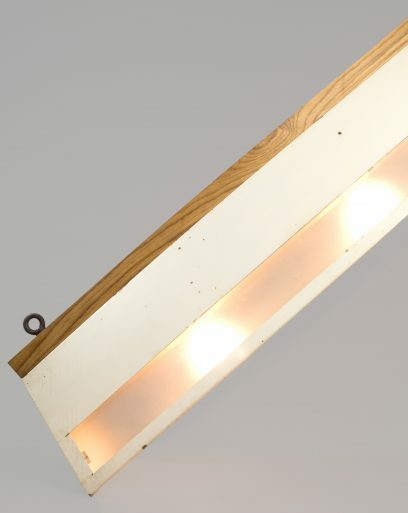 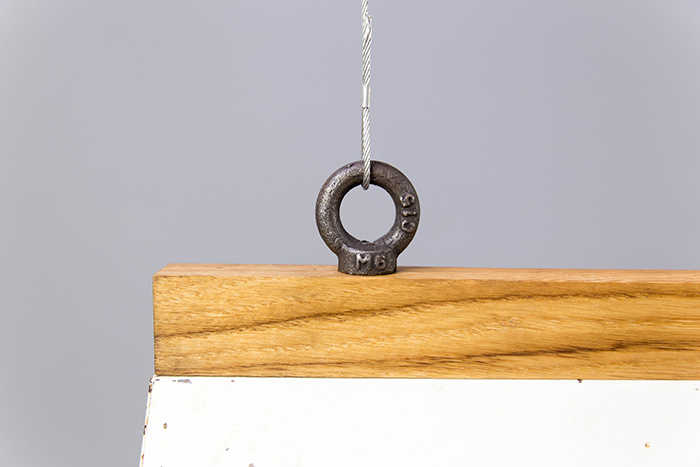 The fixture originates from a former spinning mill in East Germany. 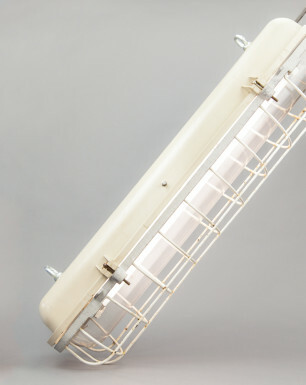 Together with many other fixtures the lamp was found at one of the many production lines. 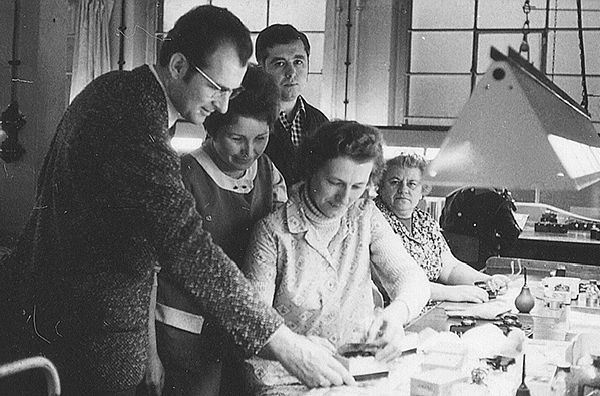 The textile factory had been operational for over 80 years under many different names, and ceased activity after the fall of the Berlin wall in 1989. 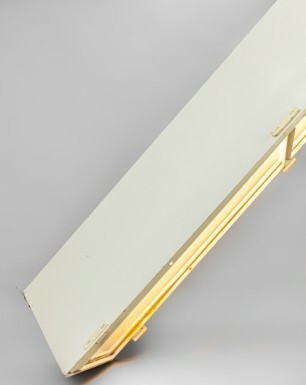 On request, this fixture can be equipped with florescent tubes instead, and can be made dimmable via DALI or 1-10V, please see images below.